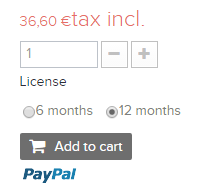 You need to be registered to tourist-tools.net in order to buy a license. The RoomPlan App and RoomPlanOnline accounts aren’t connected with our e-commerce site. Even if you already have an RoomPlan or RoomPlanOnline account and you didn’t bought a license from tourist-tools.net, you must proceed with a new registration. If you are already registered to tourist-tools.net, you can proceed to step 2. 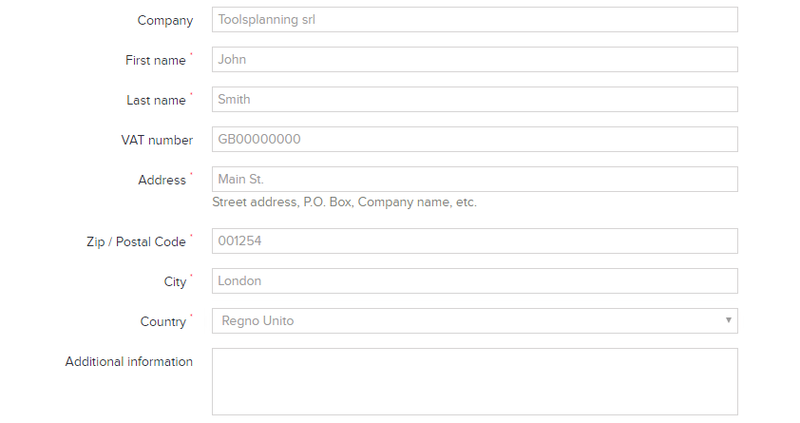 Click on the “Register” button located on the top-right side of the page. 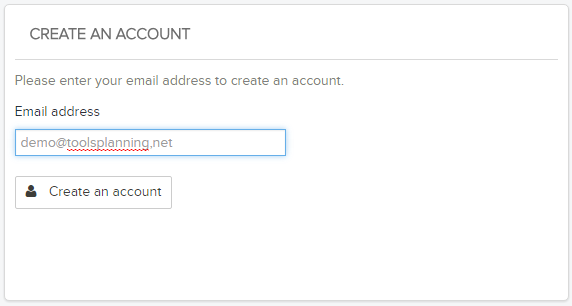 Enter your personal information and choose the password you want to use to access the website. If you have a RoomPlan account, choose “YES” and enter the email address of your RoomPlan account on which you want to activate the licenses. If you are not a RoomPlan client, you have to choose “NO”. If you don’t know which’s the email address of your RoomPlan account, you must access the app on “Options” -> “Email”. If you made the log-in into the site, in the second screen please click on “Proceed to Checkout”. Otherwise please log-in using your email address and password or register as a new user (STEP 1) (don’t use your RoomPlan details, but those used during the registration to tourist-tools.net). In the end you have to choose the payment method to complete your order. The only available is Paypal. Click “Pay with the card or with your PayPal account” to continue. Click “Login” to pay with your PayPal account . If you don’t have a PayPal account you can still make the payment by clicking on “Pay with a card” and complete the required fields. Wait 2-3 minutes from the payment, our site will send several emails including; a summary of the order, a license code and instructions to activate the license. ← Your license has expired. Why you should renew it?